1. Ajith Kumar (அஜித் குமார்), (born 1 May 1971) is an Indian film actor who works mainly in Tamil cinema. He began his career as a supporting actor in a Telugu film before gaining critical recognition in the Tamil thriller Aasai (1995). A succession of high-grossing films followed where Ajith was usually depicted as a romantic hero, with Kadhal Kottai (1996) and Kadhal Mannan (1998) being the most notable. He later forayed into method acting, as seen in Vaali (1999), Mugavaree (2000), Kandukondain Kandukondain (2000) and Citizen (2001) before establishing himself as an action hero with popular films including Amarkalam (1999), Dheena (2001), Villain (2002), Varalaru (2006), Billa (2007) and Mankatha (2011). 2. Joseph Vijay Chandrasekhar (ஜோசப் விஜய் சந்திரசேகர்) born June 22, 1974),better known mononymously as Vijay, is an Indian film actor and playback singer, who stars in Tamil-language films. 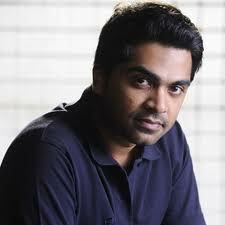 He is the son of film producer and director S. A. Chandrasekhar. After performing uncredited roles as a child actor in films produced by his father, he made his debut in a lead role in the 1992 film Naalaya Theerpu. Since then, he acted in several films of action and romance genres. He has also worked as a playback singer in several of his films, as well as a few films starring other actors. During his career in the Tamil film industry, he has won two Tamil Nadu State Film Awards and was nominated for one Filmfare Award. 3. 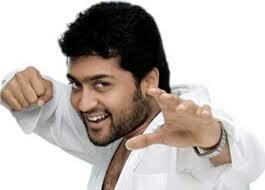 Suriya (சூர்யா) born 23 July 1975 as Saravanan Sivakumar. He is an Indian film actor. He starred in Tamil films, such as Nandha (2001), Kaakha Kaakha (2003), Pithamagan (2003), Perazhagan (2004), Ghajini (2005), Vel (2007), Vaaranam Aayiram (2008), Ayan (2009) and Singam (2010). He made his Bollywood debut in Ram Gopal Varma's Rakht Charitra (2010). 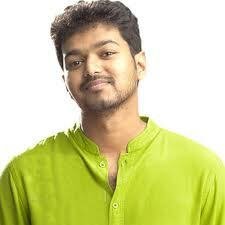 As of 2010,he has won three Tamil Nadu State Film Awards and three Filmfare Awards. 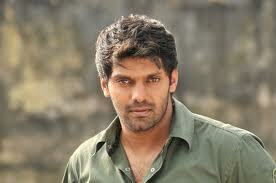 He established himself as one of the leading contemporary actors in the Tamil film industry. 4. Vikram ( விக்ரம்) born as Kennedy Vikram Vinod Raj on 17 April 1966) is an Indian film actor who has predominantly appeared in Tamil language films. During his years in the Indian film industry, he has won five Filmfare Awards as well as one National Film Award and Tamil Nadu State Film Award amongst other recognitions and was awarded an Honorary Doctorate by People's University of Milan in May 2011. Vikram is known for his intense performances, with his work often fetching critical acclaim and commercial success. 5. Karthi (கார்த்தி) born Karthik Sivakumar on 25 May 1977) is an Indian film actor, working in the Tamil film industry. His father is Sivakumar, also a film actor. Karthi gained a Bachelor's degree in Mechanical Engineering and a Master's degree in Industrial Engineering in the United States. Since he had always wanted to become a film director, he returned to India and joined Mani Ratnam as an assistant director. He was offered acting roles and made his acting debut in Paruthiveeran in 2007 as the titular character, a careless village rowdy, winning critical acclaim and several accolades including the Filmfare Award for Best Actor and a Tamil Nadu State Film Award. His next role was a coolie in Aayirathil Oruvan (2010) and achieved consecutive commercial successes with his subsequent releases Paiyaa (2010), Naan Mahaan Alla (2010) and Siruthai (2011). 6. Vengatesh Prabhu Kasthuri Raja (born on 28 July 1983),better known by his stage name Dhanush ( தனுஷ்), is an Indian film actor and playback singer. His filmography includes critically acclaimed films like Kadhal Kondein, Pudhupettai and Aadukalam, for which he won the National Film Award for Best Actor and commercially successful films like Thiruda Thirudi, Thiruvilayadal Arambam, Polladhavan, Yaaradi Nee Mohini and Padikathavan. 8. 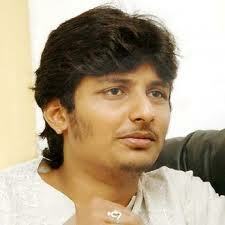 Vishal Krishna (born 29 August 1977) is an Indian film actor who has appeared in primarily Tamil cinema. Often starring in his home productions, Vishal became an actor after a stint as an assistant director in films.Vishal played his first role in the romantic thriller Chellamae, before going on to secure a run of three consecutive successes with roles as action hero in the 2005 film, Sandakozhi, and with Thimiru in 2006. After appearing in two further successful films, the failure of his hyped home production, Sathyam halted his streak. Following further commercial failures, he enjoyed success again with Avan Ivan (2011), which became a significant film in his career. 9. Arya born as Jamshad Cethirakath on 11 December 1980. 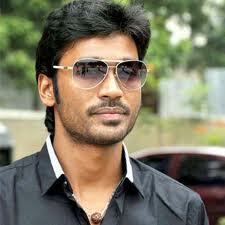 He is an Indian film actor who mainly appears in Tamil films. He is best known for his roles in the films Arinthum Ariyamalum (2005), Pattiyal (2006), Naan Kadavul (2009), Madrasapattinam (2010), Boss Engira Bhaskaran(2010) and Avan Ivan(2011). 10. Jeeva (ஜீவா) born as Amar B. Choudry on 4 January 1984, credited as Jiiva, is an Indian film actor who predominantly appears in Tamil films. Son of film producer R. B. Choudry, he started his career as a child actor in his father's films in 1996. He performed his first lead role in the 2003 romance film Aasai Aasaiyai, before rising to fame with his breakthrough performance in Raam (2005), for which he won the Best Actor Award at the Cyprus International Film Festival. 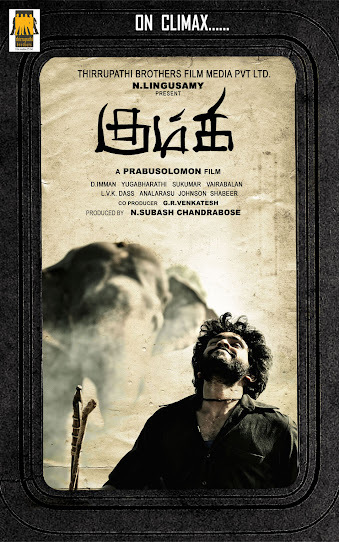 Since, he became known for his versatility, essaying distinctly different roles in his subsequent films, such as a stuntman in Dishyum (2006), a slum dweller in E(2006) and a psychopath in Kattradhu Thamizh (2007), and garnered high critical acclaim for his performances, while also achieving commercial success with Siva Manasula Sakthi (2008) and Ko (2011).